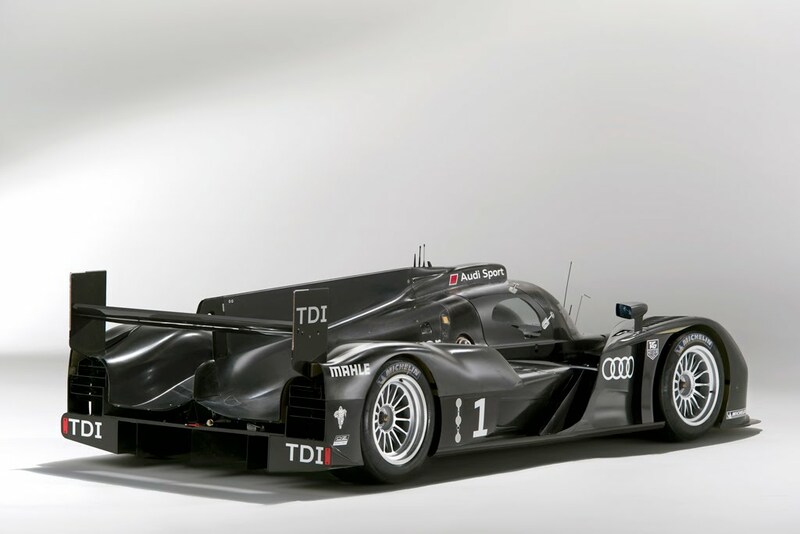 For the Audi motorsport enthusiast, this week has been one spent anxiously awaiting the debut of the successor to the Le Mans winning Audi R15 TDI Plus. 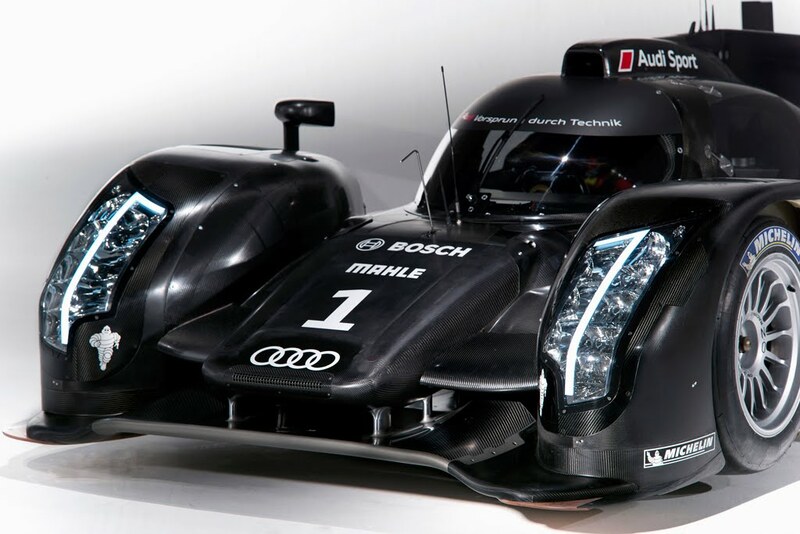 Unveiled this evening at the Audi Sportpark in Ingolstadt is the future of Audi Sport - the R18. 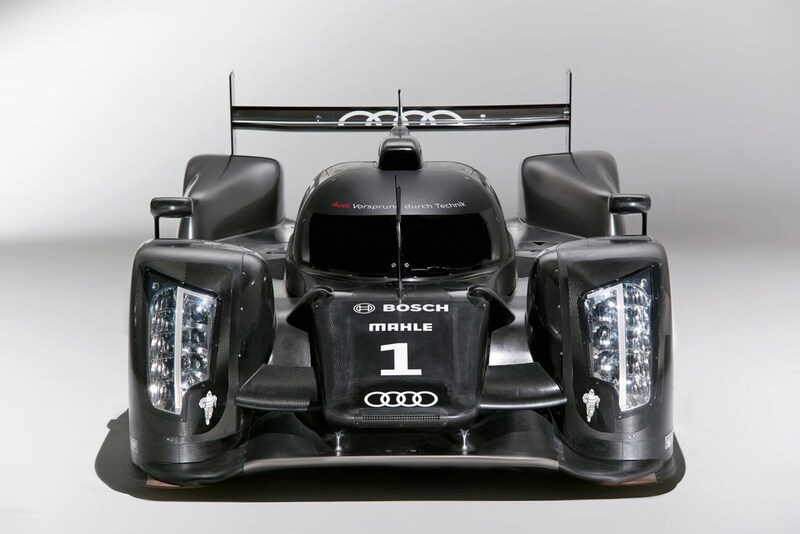 Aside from looking like the love child of Darth Vader's helmet and the Batmobile, the R18 marks the first closed cockpit Audi Le Mans prototype in over 10 years. We imagine the folks at Peugeot choked on a few croissants after seeing this bad boy. As the powers that be at Le Mans have changed the rules for the 2011 season, a significantly smaller engine had to be used than that found in the R15 Plus. That said, Audi opted to use a 3.7-liter V6 TDI unit (retaining the company's trademark Le Mans winning diesel technology). The R18's six-speed transmission was also significantly modified for use with the smaller engine. With regard to the chassis, the R18 separates itself from other closed cockpit cars by using a single component carbon fiber monocoque rather than two separate halves. This one-piece design both saves weight and increases stiffness. As you may imagine, Audi engineers drew on many experiences with the R8C (Audi's last closed LMS racer) when designing the R18. In fact, engineers not only drew inspiration from the R8C, but also from "sister," Bentley's 2003 LMP1 car which was also a subject. 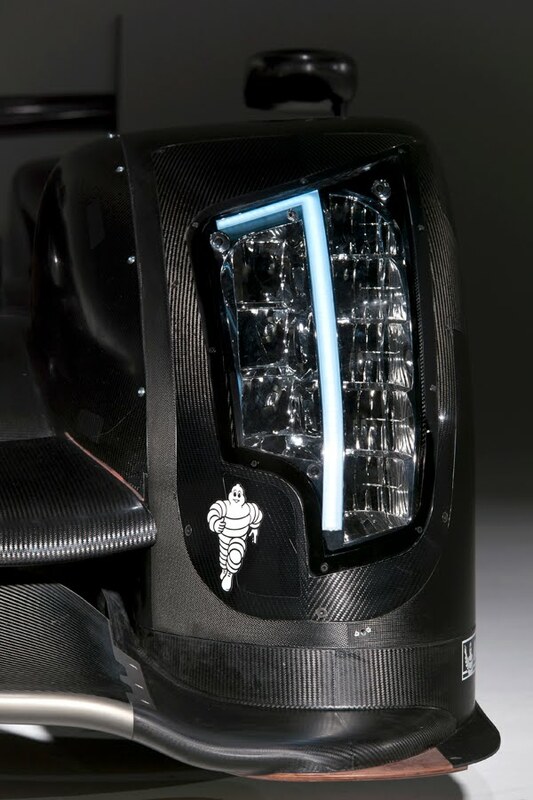 Finally, a small, yet very cool features of the new R18 is the car's headlights. 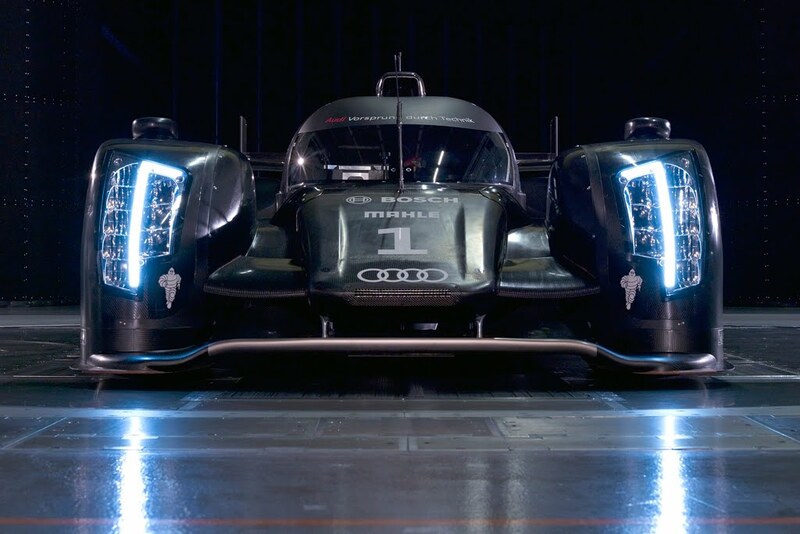 If you notice from the photos, the LEDs create a number "1" nodding to Audi's historic brand logo (though we rather think it denotes the place in which Audi will finish this year's 24 hours of Le Mans). While the R18 is completely new to you and I, Audi says that development has been on-going since mid-2009 and the car's V6 TDI has been running on the dynamometers since the summer of 2010. 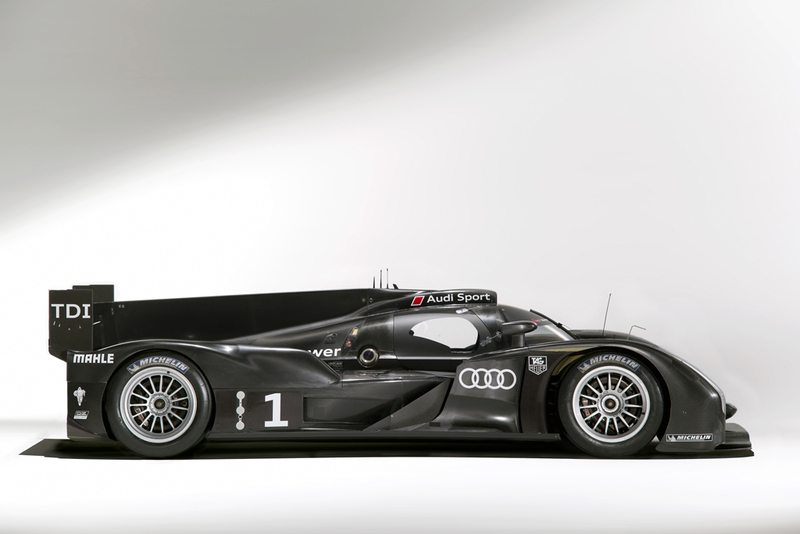 The R18's first test run took place last month with none other than Allan Mc Nish at the wheel. 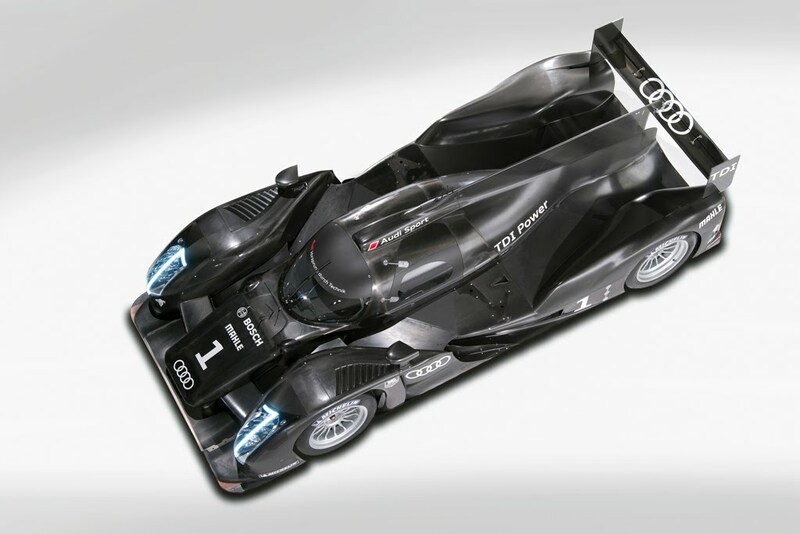 The racing debut of the Audi R18 is planned for the Spa-Francorchamps (Belgium) 6 Hours on May 8. Three R18 cars will then contest the 2011 24 Hours of Le Mans in addition to the Intercontinental Le Mans Cup (ILMC), consisting of a total of seven endurance races on three continents (including the Le Mans 24 Hours) with two cars. Unfortunately, the R18 will not race at Sebring in 2011. 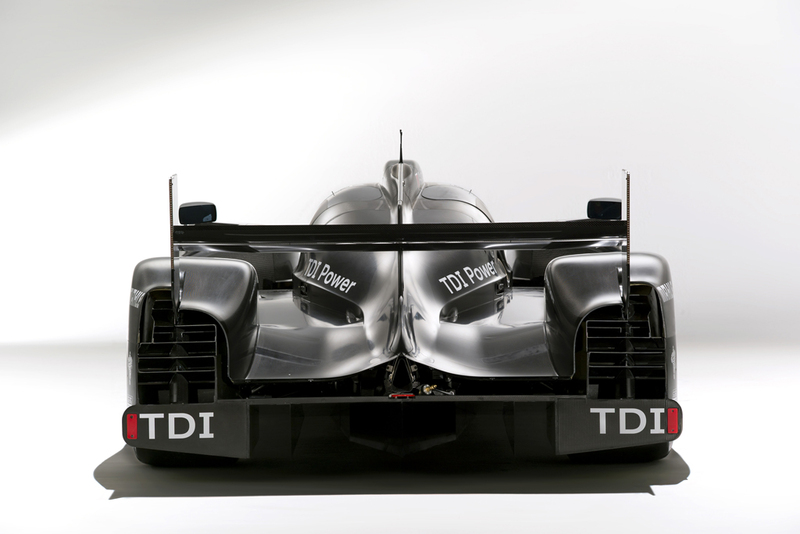 Instead, the R15 TDI Plus will compete for Audi in the 12 hour race. Audi aims to continue its string of victories at the Le Mans 24 Hours with a completely new LMP1 sports car development. Since its debut in 1999, the brand with the Four Rings has won the world’s most important endurance race as many as nine times with the R8, R10 TDI and R15 TDI models. In doing so, Audi has equaled this feat in the race’s roll of honor with Ferrari. 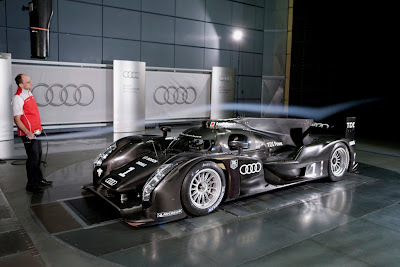 With the new R18, which was presented at the Audi Sportpark in Ingolstadt on the evening of Friday, December 10, 2010, Audi is aiming for its tenth Le Mans success in 2011. 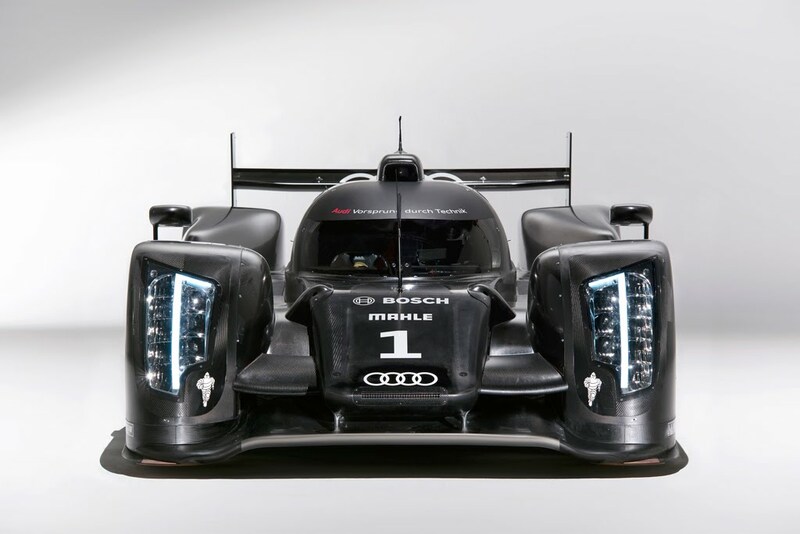 Through the innovative V6 TDI engine for the Le Mans 24 Hours, motorsport is yet again performing pioneering work for the production arm at Audi where there is a growing trend towards smaller, more economical but yet powerful engines. Another new development is the six-speed transmission in the R18 which has been specifically modified for use with the smaller engine. With regard to the chassis Audi Sport wants to live up to its promise, expressed in the brand’s "Vorsprung durch Technik” tagline. 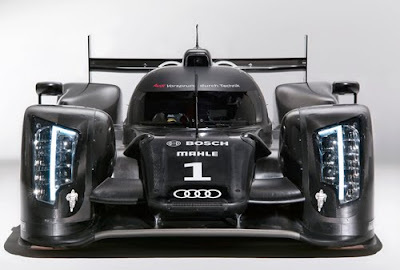 Unlike those of the closed Le Mans prototypes, the carbon fiber monocoque of the R18 does not consist of two halves but features a single-component design. This saves weight and increases stiffness. 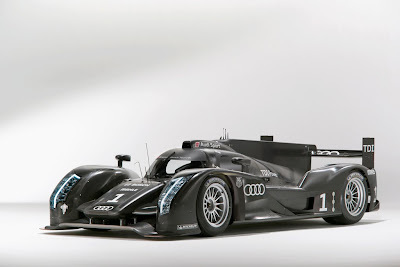 For the development of the closed R18, engineers at Audi Sport were able to draw on the experiences gained in 1999 with the R8C and in 2003 with the LMP1 of the corporate "sister brand” Bentley that was victorious at Le Mans. "Also the Audi A4 DTM, which for example, features a heated windshield, allowed us to shorten the development cycle with respect to the ventilation of the cockpit, the doors and the heating of the windshield,” explains Dr. Martin Mühlmeier, Head of Engineering at Audi Sport. The chassis and aerodynamics package contains a lot of know-how from the R8, the R10 TDI and the R15 TDI whereas the fitting of identically sized front and rear wheels is new to an Audi Le Mans sports car. This configuration allows a more balanced weight distribution. The R18’s headlights, which are the first to completely consist of LEDs with optimized amount of light, are a technical highlight. The new generation of headlights was developed in close cooperation between Audi Sport and the Technical Development (TE) division of AUDI AG and by using at Le Mans, will be prepared for future use in production vehicles. 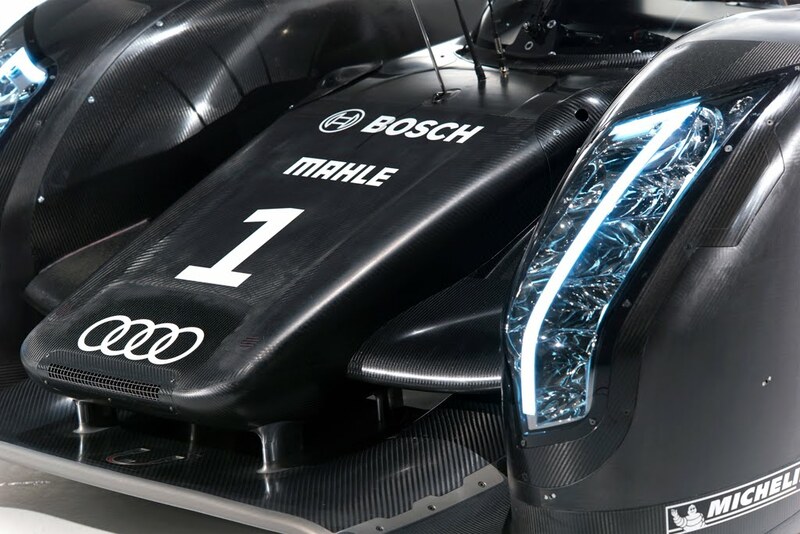 Audi’s light designers had the chance to make their mark on the development as well: The LEDs of the daytime light form the shape of a "1” which is intended to inspire associations with Audi’s historic brand logo. The development of the new Audi R18 started in mid 2009. The V6 TDI engine has been running on the dynamometers since the summer of 2010. The R18, with Allan McNish at the wheel, completed its first test on a racetrack at the end of November. 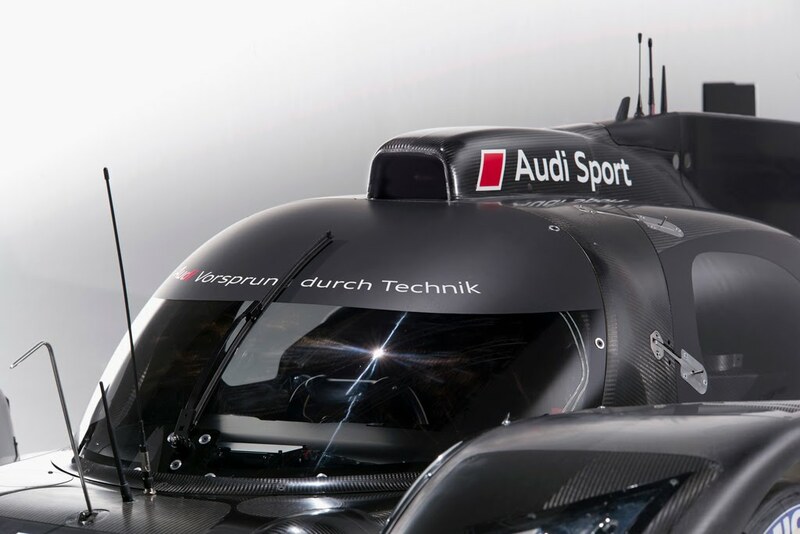 The racing debut of the Audi R18 is planned for the Spa-Francorchamps (Belgium) 6 Hours on May 8. Prior to the event, the new prototype will be able to do its first laps on the race track at Le Mans during the official test day on April 24 and gather important data for the race on June 11 and 12. Audi is planning to field three Audi R18 cars at Le Mans, which will be entered by Audi Sport Team Joest, the most successful Le Mans team of all time. 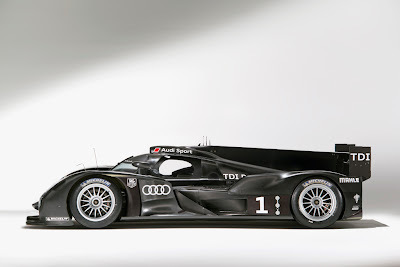 In addition, Audi Sport Team Joest will contest the Intercontinental Le Mans Cup (ILMC), consisting of a total of seven endurance races on three continents (including the Le Mans 24 Hours) with two cars. At the opening race at Sebring on March 19, the team will use two "R15 plus plus” cars. "Sending the R18 into a race at such an early point in time would be difficult in terms of logistics and interfere with our development program,” explains Head of Audi Motorsport Dr. Wolfgang Ullrich. As before, Audi Sport is again planning to field a total of nine vehicles entered by the proven Audi Sport teams Abt Sportsline, Phoenix and Rosberg. The driver line-up will only be decided in January of next year. But not only the twelve DTM events (including one show race at the Olympic Stadium in Munich) have to be tackled in 2011. In addition, Audi Sport is working on the successor model of the current Audi A4 DTM, internally designated as the "R17,” for the new Technical Regulations that will come into effect in 2012. The first tests are planned for next summer. 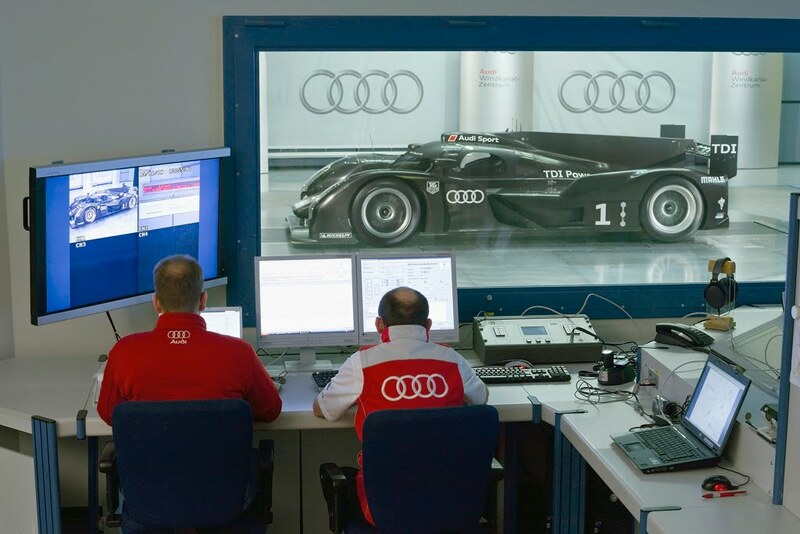 AUDI AG’s customer sport program that was launched in 2009 will be expanded and restructured. The responsibility for the further development of the Audi R8 LMS, sales of the vehicles and technical support for the worldwide customer and importers teams has been delegated to quattro GmbH. Whereas the main focus was previously on Europe, the Asian market will be served as well in 2011. The participation in the 24 Hour races at the Nürburgring (June 25/26) and at Spa-Francorchamps (July 30/31) spearheads the customer sport commitment with the Audi R8 LMS. Audi will also support entries at other endurance races such as the 12 Hours at Bathurst (Australia) as part of its customer sport commitment. In addition, Audi is planning a modular customer sport concept that will include an endurance version of the TT RS and a GT4 version of the Audi TT. The TT RS has already successfully completed first runs on the Nürburgring-Nordschleife and will continue to be developed during the winter. A concept of the TT GT4 was presented at the DTM race meeting in Shanghai. Delivery of the first customer vehicles is planned for 2012.